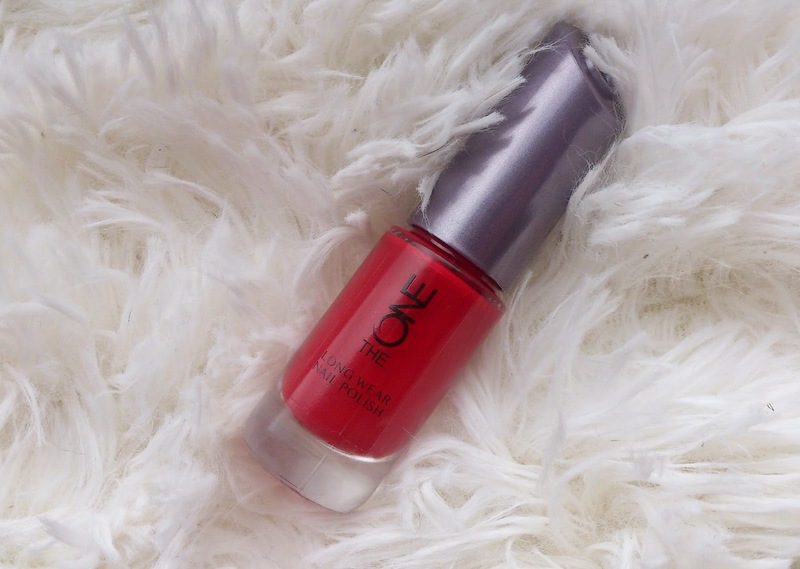 jaanika: Review: Oriflame The One nail polish " London Red"
Review: Oriflame The One nail polish " London Red"
After my last The One collection nail polish ,i was kinda in between-should i order another one or not? 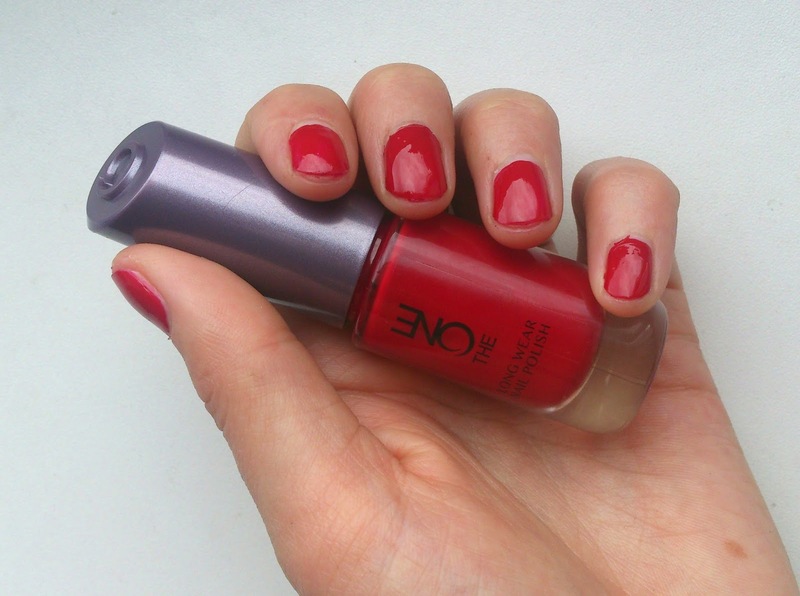 But i decided to take a risk and i got this beautiful red shade polish called London Red. Luckily ,this time the polish wasn't as watery as the last one and the brush is just amazing-it is so thick and wide that only like one and a half move ,your entire nail is covered.And the colour is so pigmented and intense that i didn't need a second coat.Gorgeous deep dark red:) Also i was impressed how long it stayed on-8 days! 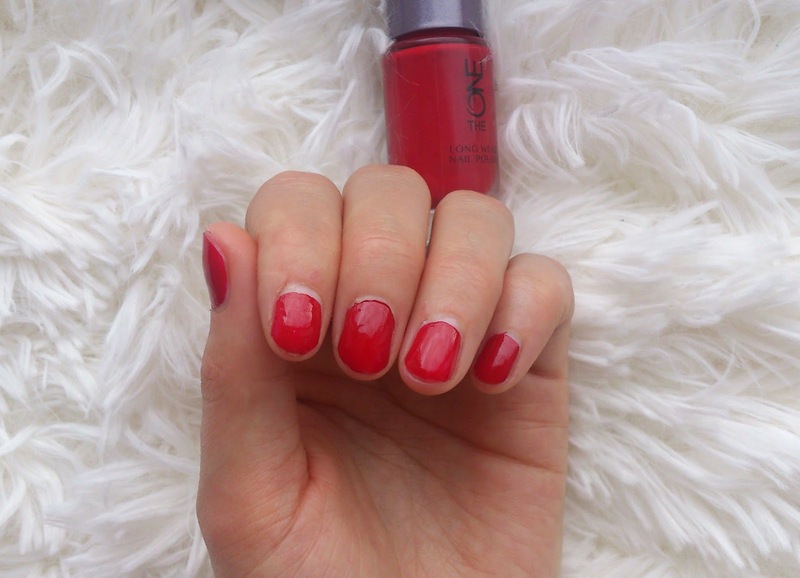 On the 3 day the ends started chip a little but i just added a little more polish and then again after 3 days it started chip again but nothing major.So really really happy about that polish:) The only thing that bothered me was after i removed the polish ,my nails and cuticle area was red. I nominate you for the Liebster Award!